On day 2 of the tour, leave your hotel for a city tour. Fondly known as the ‘Gateway of South’, Chennai is home to a number of tourist attractions. 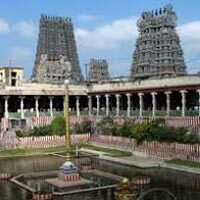 The list of attractions that you cover during the sightseeing includes the Theosophical Society, Sri Parthasarathy Temple, Kalakshetra, the St. Mary's Church, Kapaliswara Temple, San Thomas Cathedral Basilica, Mylapore, Fort St. George and houses the Secretariat and Legislative Assembly of Tamil Nadu. The evening is at leisure. Stay overnight. On the 3rd day, leave for Kanchipuram, by road. Around 70 km westwards of Mahabalipuram, Kanchipuram is referred to as one of the 7 sacred cities of Hinduism. The Chola capital during the 2nd century, Kanchipuram today is an important place where people come to gain knowledge about Jainism, Hinduism and Buddhism. 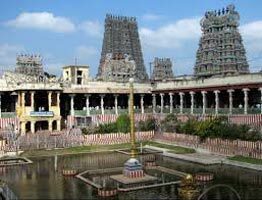 You may visit the city’s popular temples such as Kamakshi Amman temple, Ekambareswarar temple and so on. Also visit the silk weavers of the city, residing here from past four centuries. Thereafter, continue towards Mahabalipuram. On arrival, complete the check-in formalities at the hotel. Overnight stay.
. Also called Thillai Nataraja temple, it has a distinct feature of 5 sabhas. Thereafter, continue to Tanjore. On arrival, check-in at your hotel. After some rest, the rest of the day is for sightseeing in Tanjore including the very well-known Brihadeeswarar Temple.